Digital marketing strategy helps a brand to become the favorite of the customers. It is a subtle process that needs a lot of patience. From the first interaction to the “call to action”, there are several stages. At every stage, digital marketing plays a crucial role. Media Pasta, a seasoned digital marketing agency in Gurgaon, builds a precise digital marketing strategy to strike the best conversion rate. Our team offers a list of digital marketing plan that works on solid theory base and not on pure luck. We assure that the team has the potential to take the brand to the next level by using an actionable and practical design. The popularity of digital marketing is increasing with every passing day. You shouldn’t, therefore, miss the train. Make a strong and profound strategy which is flexible enough to connect your business to the upcoming trends. With Media Pasta, the renowned digital marketing agency in Gurgaon, you can device inventive marketing strategies that make you the business leader. We are experts in deriving meaningful information from relevant data points. Our team doesn’t believe in random stakes, but systematic planning to build long-term reputation of your company. The expertise comes through the long experience in the niche. When you need a systematic digital penetration to explore newer opportunities on the digital space, nothing can be more helpful than the comprehensive digital plans offered by us. Experts say that in a competitive environment, only the best plan wins. What makes a digital marketing plan great? It is solid framework that communicates to the target audience via different digital channels seamlessly. We gauge how deep your brand can penetrate a particular customer base. Also, we assess how willingly they want to commit to the brand? By marking the factors that motivate them the most; Media Pasta assures fantastic results for your business. We don’t miss even a single measure while creating a digital marketing strategy. Give a buzz for transforming your business up to high levels. 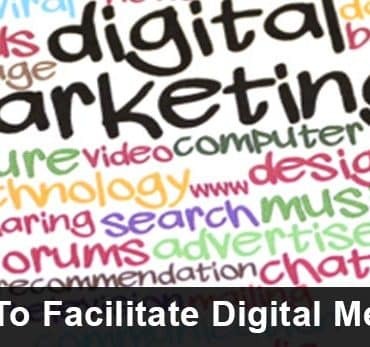 Media Pasta is the one and only one digital marketing agency in Gurgaon for all your digital marketing strategy needs. Tell us what you expect from us. We will ensure that every small requirement of yours get incorporated in the strategy.